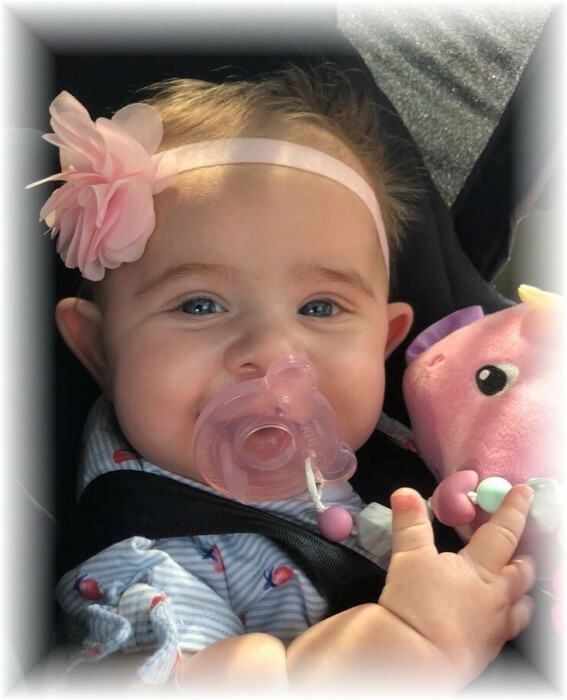 Baby Isabelle passed away peacefully in her mother’s arms Tuesday March 26, 2019 in the PICU at the Health Science Center in Winnipeg, MB. She was born on March 31st, 2018. She touched the hearts and souls of everyone around her. She is survived by her mother, Alexandra Kowalyk; her grandparents, Janice and Vlad Kowalyk; and her uncle, Nick Kowalyk. Isabelle’s memory will forever be remembered and cherished by all those who got to know her. Isabelle was full of life and energy and loved learning new things. She loved endless cuddles and hugs from mom and her grandparents. She loved dancing with mom for hours on end, playing peek-a-boo around doors and walls, tickle fights and listening to music. Isabelle was taken much too suddenly from all of us. A memorial service to celebrate the life of Isabelle will be held at 1:00 p.m. on Saturday, April 6th, at Korban Funeral Chapel, 907 Main Street.